Dr. Rozina Karmaliani is a distinguished alumna of the School of Public Health and the School of Nursing at University of Minnesota. She earned her Master's in Public Health in 1994, Master of Science in Nursing in 1997, and a Ph.D. in 2000. 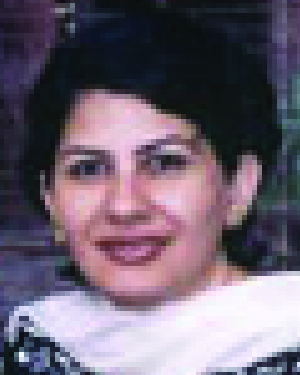 She was the General Secretary of the Pakistan International Student Association at the University from 1992 to 1993. Dr. Karmaliani currently holds dual appointments at the Aga Khan University in Karachi, Pakistan. She is a faculty member in the Department of Community Health Sciences and the director of the Bachelor's of Science in Nursing and the Post-RN Bachelor's of Science in Nursing programs. Dr. Karmaliani is one of the youngest nursing professionals to reach the senior management level at the Aga Khan University School of Nursing and in Pakistan. She is the first nursing faculty member in Pakistan to be awarded the Khatjabai Mohan Manji Dharolia Professorship. In 1988, before coming to Minnesota, Dr. Karmaliani, as a young community health nurse, established a community-led primary health care project at Baba Island of Karachi. This project reached out to the squatter settlement population of 7,000 and focused on a community-university partnership for health and development. Her pioneering work in the field helped to fuel the realization that female community health nurses had a leadership role to play in this area. Not only were their competencies equal to those of the male community health physicians, but their services were much more readily accepted by rural women. Her publications and papers in the field of community health for women have influenced the field of nursing and addressed significant health issues in Pakistan and other developing countries. She is currently a co-investigator on a National Institute of Child Health and Human Development grant of $1.6 million to work on perinatal infections and pregnancy outcomes, in partnership with the University of Alabama. In naming Dr. Karmaliani as a winner of the Distinguished Leadership Award for Internationals, the selection committee cited her outstanding accomplishments as a young leader in the field of community health in Pakistan, her commitment to return to Pakistan to use her education at the University of Minnesota to improve the lot of some of the poorest communities in her country and in the developing world, and her personal contribution in elevating the status of the nursing profession in Pakistan.